In the launching of our redesigned website, we took care to make sure that the story of our history was preserved and presented with accuracy and honor. As we thought about our 43 years of helping Anglicans live as mission-minded Christians, we began to see three distinct eras of our ministry’s life. The first era was, of course, led by our founders Rev. Walter and Louise Hannum. When they created the organization, it was called the Episcopal Church Missionary Community, and that is what it was, a community. It was actually the first volunteer mission agency in the Episcopal Church in North America! Everyone involved with ECMC, as we were then called, knew and loved the Hannums and were part of a missional community within the Episcopal Church. It was like being part of a church plant start-up where everything centers around the planting pastor and everyone knows each other well! The second era of our history was led by Sharon Stockdale Steinmiller for 22 years. 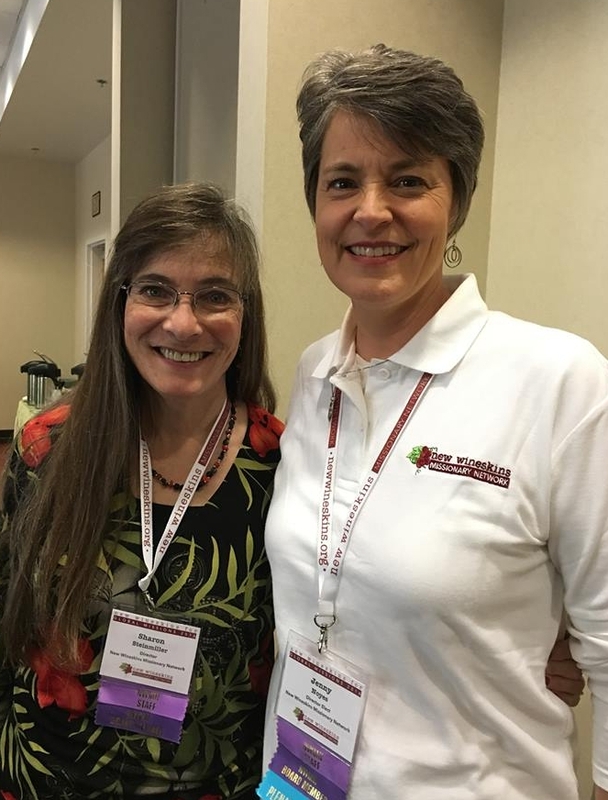 During this time, ECMC grew into a worldwide community that gathered every three years at the New Wineskins for Global Mission conference to re-connect, deepen relationships, and discover new ideas for partnerships and resource sharing. The conference now attracts over 1,000 people from more than 50 nations, but it still has that feeling of being a community with the common goal of spreading the gospel to the ends of the earth. Exactly halfway through this time period, the ministry changed its name to the New Wineskins Missionary Network. The name change from “Community” to “Network”, maybe unknowingly at the time, was actually prophetic. The ministry of New Wineskins had indeed grown into an international network of people, parishes, priests and provinces! During this second era, around 2003, the network of the Anglican Global Mission Partners (AGMP) was officially formed, with New Wineskins as a founding partner. By this time, many other mission agencies had been birthed and developed into strong mission-sending and mission-equipping entities. The leaders of these mission agencies realized that they would have more impact, more mission effectiveness, and a stronger voice if they officially connected as a network of like-minded missional leaders. This second era of New Wineskins’ history could be likened to a church plant growing into more of a program-sized church, where not everyone knows each other, but all the members are still connected around a cohesive vision for what the church is all about. Now, we are 18 months into a third era and I can already begin to see where the Lord is taking us. At the AGMP meeting following the 2016 New Wineskins conference, we sensed a new day of creative collaboration was being ushered in. For example, Agape Year, an Anglican gap year, a 10-year AGMP brainchild, is now launching with their first class of young adults this fall. The upcoming AGMP sub-conference at the ACNA’s Provincial Assembly is another example of extensive partnering for the common good. AGMP is hosting an ice cream social for all Assembly participants, co-leading 3 workshops with a team of 12 presenters, exhibiting side-by-side, and hosting a reception room where one-on-one in-depth conversations and prayer can take place with those discerning a missional call! Initiatives like World Mission Sunday that was spearheaded by the AGMP are impacting the entire province by creating resources that can be shared by all to raise mission vision at the local level. The new AGMP website (www.agmp-na.org) features an exciting new online-matrix tool called the Mission Match that will help people quickly learn which agencies can best meet their needs. Finally, a new AGMP blog feed will post entries from all AGMP partners in one place! The New Wineskins new site also prominently features links to all the AGMP member agencies. Our Resources pages with 12 categories of different areas of mission are chocked full of six different kinds of resources - websites, videos, audio/podcasts, recommended books, blogs, and downloadable documents - making us the go-to hub for AGMP mission resources. We are also serving as a “human matrix,” helping you to find the right fit to fulfill your unique calling. In addition to AGMP being a large network within our denomination, we are now connecting with other networks not only from other denominations, but also other worldwide networks (like the Lausanne Movement) that are inter-denominational, para-church and often centered around a specific area of ministry. So now, New Wineskins’ network is one part of a web of networks criss-crossing the globe at such an amazing rate that some groups are beginning to believe that “the task remaining” of reaching every tribe, tongue and nation could be accomplished within the lifetime of our children! So, this third era of the New Wineskins Missionary Network can be likened to a diocese or a province - too large for everyone to know each other’s names, but connected enough for everyone to feel like they have an important role to play in what God is doing through us. Too unwieldy to manage or control, but still a spirit-led community of like-minded disciples! Over the past several decades, an increasingly interconnected and globalized world has given rise to hundreds of networks in every field of mission. Through these networks, ministries around the world are meeting, sharing information and resources, and collectively working together to respond to some of the greatest challenges and opportunities of our day. These mission networks are now playing a vital role in shaping Great Commission strategies and the future of the world mission movement. When I received my monthly subscription of Mission Frontiers, I felt like it was a confirmation that what God is doing in and among Anglicans and with little ole New Wineskins, He is doing with similar networks all over the world at an accelerated speed. We are being obedient to follow the Lord’s leading to work together in more active and productive ways. With our new level of cooperation with one another and the Holy Spirit, we are in the sweet spot of the heart of God, networking to reach the nations for His Glory.